Being an international shipping company, Patricks needs to be reliable, on time and have a solid reputation. So when Patricks are looking for a pallet racking supplier, they look for companies who have the same ideals. That’s why Patricks chooses Macrack for all their pallet racking and warehouse storage needs. Macrack is a racking manufacturer, one of the only manufactures left in Australia, and for this reason they take great pride in the product they produce. However, we aren’t restricted to only producing for Australia, Macrack has had many clients and installs across the whole Australasia area. 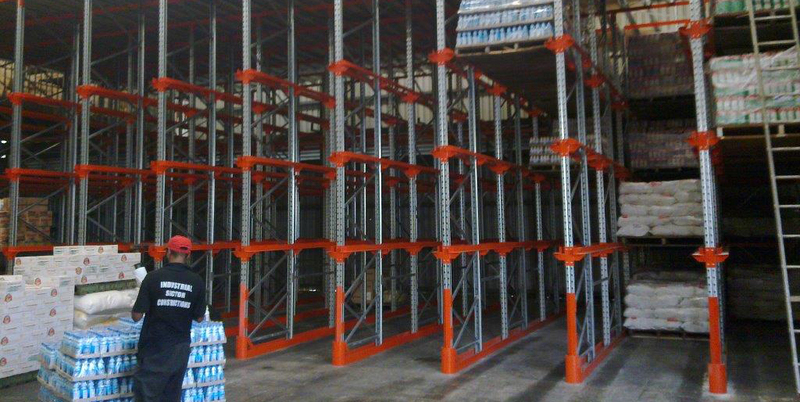 From PNG, New Zealand, Samoa, Easter Island we have supplied and installed pallet racking to all of them. Patricks asked us to come out to their PNG, Port Moresby location, to see what they could do in terms of efficient storage solutions and pallet racking for a whole variety of goods. From fresh foods, to Alcohol, Electronics, Stationary, Books and more we had to consider the main depot as a one stop shop, making sure that each item could be catered for in the manner it required, whilst still focusing on maximum storage capacity. Not having many racking installers in PNG, Macrack enlisted the help of locals to aid in the install of the pallet racking. This helped upskill the local workers and provided an instant economic boost for community, in turn Patricks was looked upon very positively by both the locals and governing bodies. Patricks transport, deals with import and exports of palletised goods and shipping containers as their main point of business. So when the pallets and goods come from around the world, they more often than not have varying pallet sizes. This variation can be detrimental to unified storage systems, but Macrack sees this as an opportunity to develop and grow their system, not as a stumbling block. With different sizes Macrack had to look at their selective pallet racking and drive In racking, accommodating for pallet width and depth. Using longer beams and wider pallet runners, we were able to accommodate for a fluctuation of 200mm in pallet size. Therefore EURO, CHEP, LOSCOM, MISC pallets could all be stored in the same system. Developing the system further, Patricks wanted to incorporate a push back system into a drive in system. Although not conventional, Macrack embraced the idea and put the design team to work in order to develop a system that would suit what the client wanted. Ending up a with a 5 deep push back system with 3 levels of drive in below and 2 levels of push back above. It seemed like a bit of a Frankenstein, but proved a huge success in terms of stock rotation, accessibility, and storage capacity. When you need a racking system that requires multi use functionality, you need to call Macrack. We don’t pigeon hole our clients (unless they want pigeon holes), we design solutions that suit their needs and make sure that the client gets racking to suit their product. Other companies will want to sell you generic goods, and will recoil at anything that is not standard. So, if you are in PNG, don’t have access to installers, want custom racking to suit custom pallets, and multi type systems.